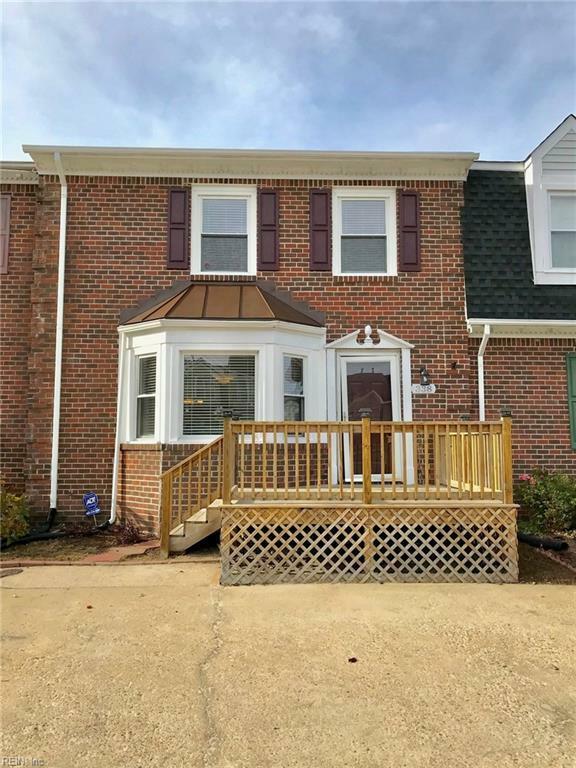 Renovated 3 bedroom 1.5 bath all brick townhome in the heart of Great Bridge. Updated eat-in kitchen with granite countertops and new stainless steel appliances. All new engineered wood flooring throughout. Fresh paint. Updated baths fixtures. Spacious living room with a gas fireplace. Formal dining room. Large fenced in back yard with a deck and an attached storage shed. Master bedroom with a walk-in closet. Great location and close to restaurants and shopping. Excellent schools. Donât wait too long there are not many like this home available.